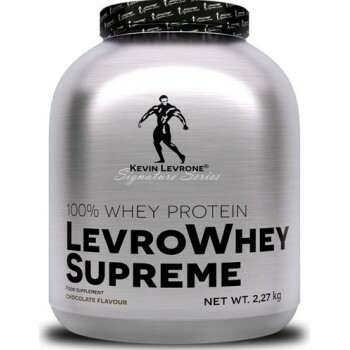 What is in Kevin Levrone 100% Whey Protein Levro WHEY Supreme? Whey protein concentrate, flavourings, thickener (carboxymethylcellulose), anti-caking agent (silicon dioxide), sweetener (sucralose). 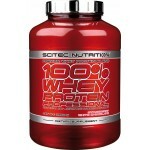 How to use Kevin Levrone 100% Whey Protein Levro WHEY Supreme? 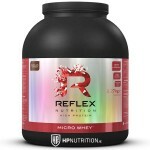 Mix 1 scoop of powder (30 g) with 300 ml of water or skimmed milk. Drink before workout or immediately after workout. With sweetener. Do not use if you are allergic to any of the product compounds. Contains milk. Do not exceed the recommended daily dose. Food supplements should not be used as a substitute for a varied and well-balanced diet. A varied and balanced diet and a healthy lifestyle are recommended. Do not use if pregnant or nursing. Keep out of reach of young children. Store in dry and cool place. Protect from direct sunlight. 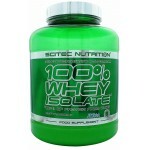 SCITEC NUTRITION 100% WHEY PROTEIN PROFE..
Scitec 100% WHEY ISOLATE*Extra L-Glutami..